One of the standouts 0ff his critically acclaimed album – ‘Klitoris’ gets the visual treatment from Brymo. 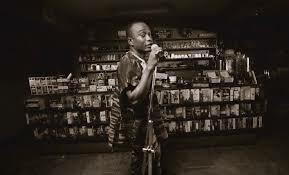 Brymo can bee seen posted up at the coffee/book/record store @Jazz Hole as he mimes passionately with a mic to Alajo Somolu. Alajo Somolu serves as the second single from the LP.